OHAUS lab equipment is special – features are designed to minimize errors and protect measurement from ambient changes or calibration errors. Furthermore, materials and construction are all carefully chosen and designed to maintain the integrity of internal components. Balances, load cells, electrodes, are all protected from common sources of damage to ensure that users can continue to deliver consistent, accurate results and can continue to depend on their OHAUS equipment. OHAUS Heavy-Duty Vortex Mixers feature a heavy-duty design and efficient motor to permit continuous duty operation, and the ability to handle accessory components over the entire speed range. Analog variable speed models or microprocessor-controlled digital models offer exact speed control when applications demand repeatable results. A wide range of accessories are available for microtubes, microplates and a variety of tube sizes from 0.5 to 50 ml. 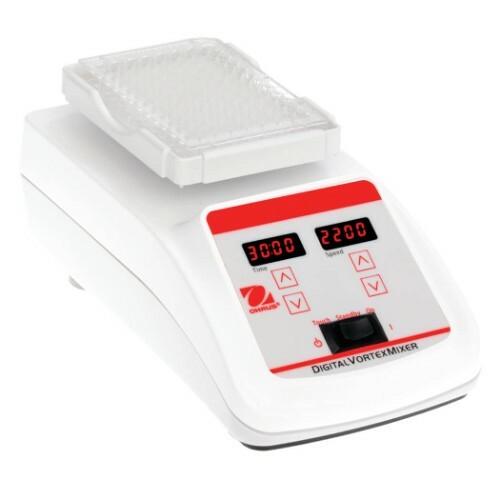 OHAUS Microplate Vortex Mixers are designed specifically for continuous duty throughout the speed range. Analog variable speed models or microprocessor-controlled digital models offer exact speed control for applications that demand repeatable results. The high-speed and small orbit of these mixers make them optimal for effectively mixing microplates. Cup head for mixing single tubes is also included. 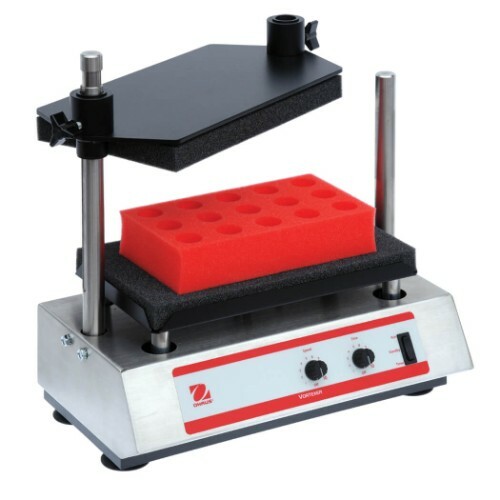 Variable speed analog microplate model is an excellent option for applications that don’t require exact speed & time to be set. High-speed combined with small orbit efficiently mixes the microplates. OHAUS Multi-Tube Vortexers are ideal for high throughput sample processing. Interchangeable foam racks for vortexing tubes from 10 to 29 mm in diameter available. Vortexing action is created by securing the top of the sample in place while allowing the bottom to rotate freely in a 3.6mm orbit. Suction cup feet reduce motion and prevent sliding on work surface. Analog & digital models, both microprocessor-controlled and run in continuous or timed mode. 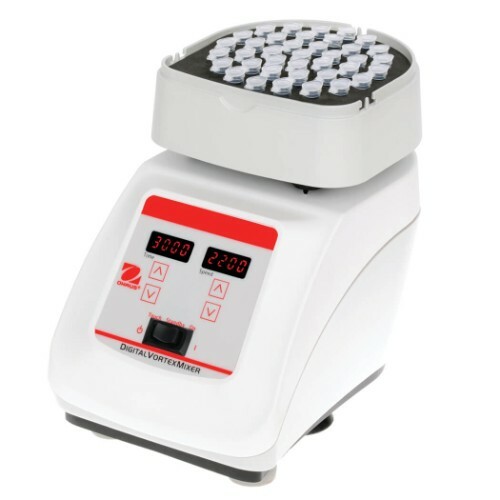 The variable speed microprocessor control provides consistent uniform mixing action. Basic speed and time settings are adjusted with knobs using 1 to 10 dial settings.